If you live in Anchorage, Alaska, there’s some good news for you. Your favourite pastime activity can finally pay off. Okay, there is no actual prize here. The task is still important and could benefit the community. You can keep watching moose lurking around, and even help science by doing so. What’s more, biologists especially encourage people to do so. The reason behind it is simple: they need help counting how many of these animals are on the loose. It isn’t uncommon for a resident of Anchorage to spot an antler here and there. The mammal can appear anywhere from a park, a driveway or on the street. 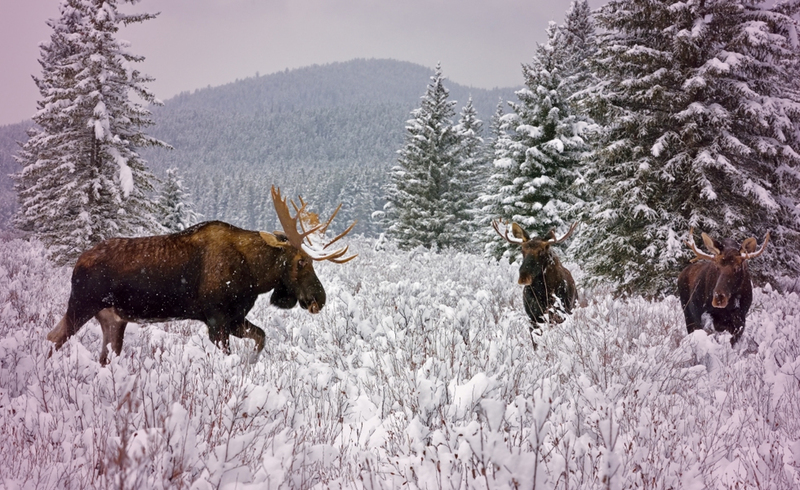 According to a 2010 survey, people enjoy watching moose. No wonder that when the announcement was made, hundreds of people responded. The method is as simple as the task itself. However, it does require a lot of time, effort and efficiency. Whenever someone spots the animal, they have to report it to the Alaska Department of Fish and Game. A team then rushes to the spot and gathers a DNA sample (no, this won’t be your job). Voila, a moose family tree can easily be created. Except, there are a few setbacks. People might spot the same specimen, or biologists could arrive late. The experiment is still in an early stage, but so far so good. Out of 100 sightings, they managed to track 25 different moose. Probably a good start. Oh, and watch out for angry moose. Although they aren’t generally harmful, if you get too close, they might bite. There are people who think that government money could be spent in a better way. Although, this method is to make the process easier, quicker, and easy on the budget. Will it work? What’s the general attitude outside of Alaska? Let’s ask the cards. This card symbolizes the use of resources. The biologists are now tapping into something new and unexploited. This new creative way could be the way forward in the long run. It certainly has great potential. However, for us to harness the power of the masses, we need to learn. Science still has a long way to go, before it can benefit from help from others. So, for now, our help will most probably be limited to moose sightings. This unlikely partnership between residents and biologists makes everyone happy. So, as long as everyone is doing what they are supposed to be doing, all is good. Well, nobody asked the moose about this, but hopefully they don’t mind, either. Previous ArticleGolf with Trump and its consequencesNext ArticleNew jobs for panhandlers in Portland. Is it a long-term solution?